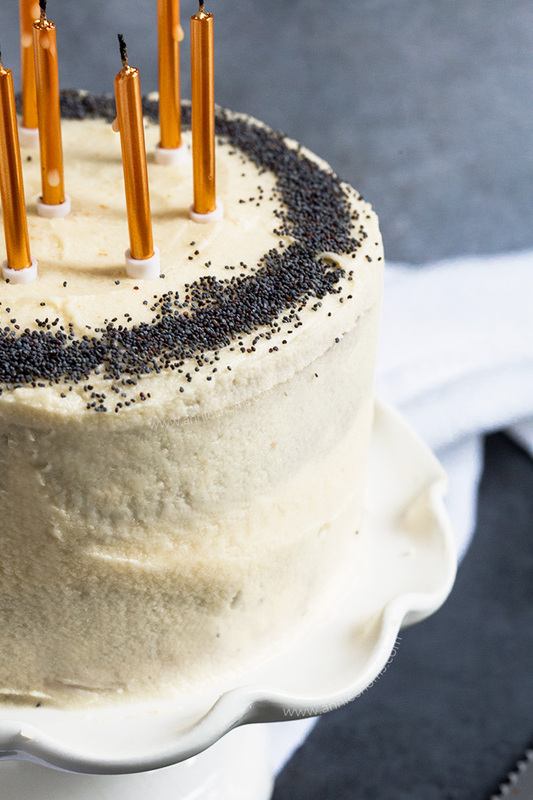 This light and tender Vanilla Poppy Seed Cake is simple to make and decorate! Perfect for birthdays and smaller crowds as it’s sized down for 6! Number 1) WE SOLD OUR HOUSE! 2) Mr AN and I have been together 8 years today – that’s almost a decade!! He irritates the heck out of me sometimes, but I couldn’t be without him haha! 3) It’s my birthday this Friday! OK, so first up, we sold our house. What with the current climate, we’ve been very anxious about moving and how long it will all take. I was getting pretty down as the house has been on the market since mid January. However, last Friday we accepted an offer and we are both very relieved and excited to get the ball rolling with this big move. We haven’t found anywhere yet, but we’re in a very privileged position because we are selling our rental house, so we can sit on the money until we find somewhere and still have somewhere to live. We are actively searching of course as both of us are ready for something new, but we aren’t going to rush into buying a house we don’t both love. We have lined up numerous viewings this weekend and I’m checking the newly listed properties daily. Fingers crossed we find the perfect house soon! Now let’s talk about my birthday cake this year. I decided I wanted a Vanilla Poppy Seed Cake as it’s a simple flavour combination with a little twist. I adore vanilla anything; my car smells like vanilla, my house smells of vanilla, even my bin bags smell of vanilla… if there’s vanilla in the title chances are I’ll love it. So, it seemed only natural to make a vanilla cake and then add in little pops of crunch into it. I just love adding poppy seeds to baked goods. I made these Lemon Poppy Seed Scones a few years back and they really kick started my love for these tiny little crunchy balls. 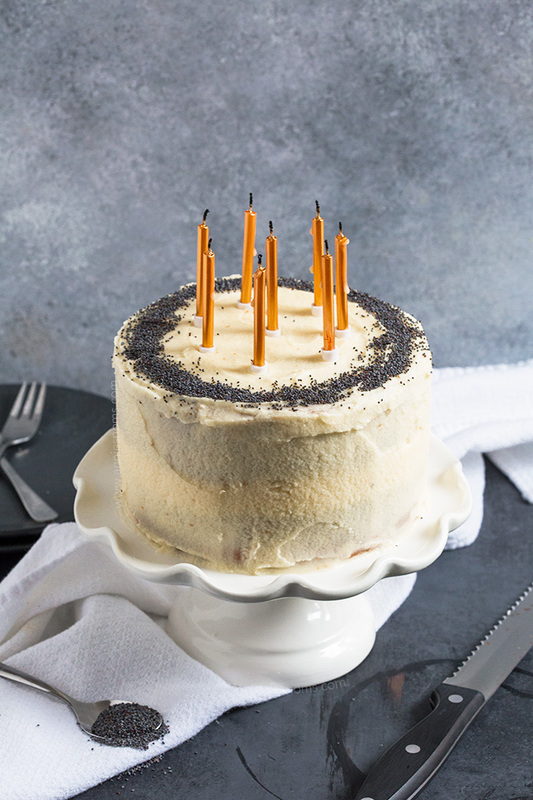 I filled and covered this cake in creamy vanilla buttercream frosting and then sprinkled some more poppy seeds on to finish it off. 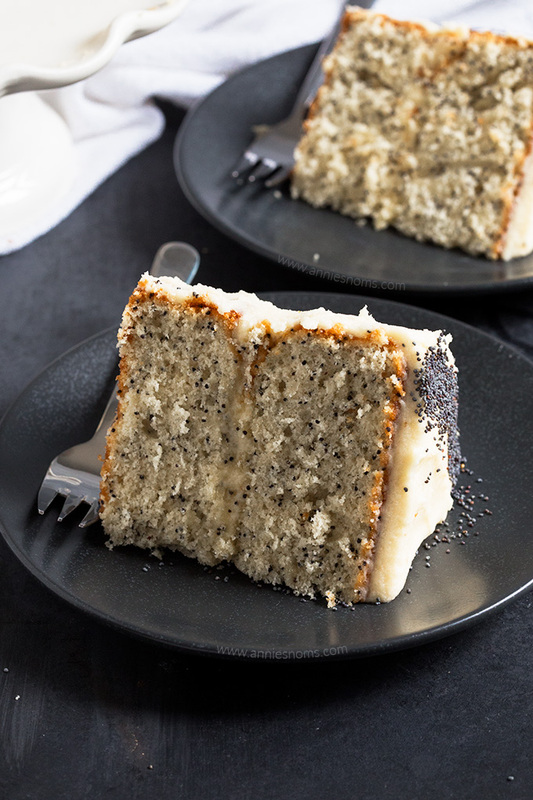 This cake is a great base cake too; you could easily omit the poppy seeds and just make a vanilla cake with vanilla buttercream; this cake is great if you don’t want to make a whole 8-9 inch cake and only need to feed a small crowd. Preheat the oven to 180C/350F and grease and line two 6 inch cake pans. I use Wilton Bake Easy and then line the sides with grease proof paper. Place the butter and sugar into a large bowl, or the bowl of your stand mixer, and mix on medium-high speed until light and fluffy. This will take around 2 minutes. 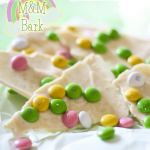 Scrape down the sides as necessary and add in the eggs and vanilla extract. Mix on medium speed until well combined and smooth. 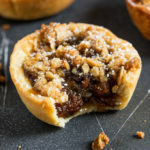 Add in the poppy seeds, flour, baking powder and salt and mix on low until the mixture starts to come together, then add in the milk and mix until everything comes together. Give it a quick blitz on medium seed to make sure everything is well incorporated. Divide the batter between the two cake pans; I use a 1/2 cup measure and fill it level to divide between the pans. Place in the oven for 27-32 minutes, (mine took 30 mins) until risen, golden and an inserted skewer into the centre comes out clean. Leave to cool completely in the pans, before transferring to a cutting board. If the cakes are uneven at all, or have a dome, then use a bread knife or cake wire to level the cakes. Leave to one side and eat the scraps – baker’s perks! 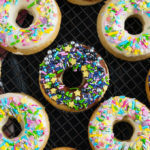 Make the frosting: Place the butter, icing sugar, vanilla and salt into a large bowl or the bowl of your stand mixer and mix on low until the mixture starts to come together. 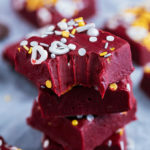 Once the icing sugar is no longer at risk of flying all over the place, turn the speed up to medium until the mixture comes together completely. It will probably be way too thick at this stage, so add in the milk, 1tbsp at a time, mixing between additions until you have a light, fluffy frosting that is spreadable. Place a dab of frosting onto a plate/cake stand and place one of the cake layers bottom side down in the centre of the plate. Spoon some of the frosting into the centre of the cake and spread into an even layer. At this stage you can also add jam or lemon curd; I just kept it simple with vanilla frosting. Place the second cake layer, bottom side up, on top of the frosted cake. Spoon the remaining frosting into the centre of the cake and use a small angle spatula to push it over the edges of the cake. Since this is only a 6 inch cake, I used the small spatula for the sides too. Ordinarily I would use a large flat spatula for the sides. Turn the plate gently as you ice, bringing the frosting towards you and covering the sides. You can swirl the icing or create lines, or make it smooth, it’s completely up to you! If you want a smooth finish, I would advise having a jug of hot water and kitchen towel so you can dip the spatula, dry it and then use the warm spatula to smooth the icing. Once the cake is covered and you are happy with it, sprinkle the poppy seeds around the edge of the cake. 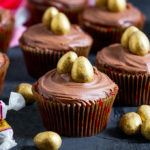 This part is totally optional, you can use sprinkles or grated chocolate to decorate too. NOTE: You can also omit the poppy seeds and make a standard vanilla cake with this recipe. This is the perfect sized down cake recipe for 6 inch cakes, so it’s great with or without poppy seeds! 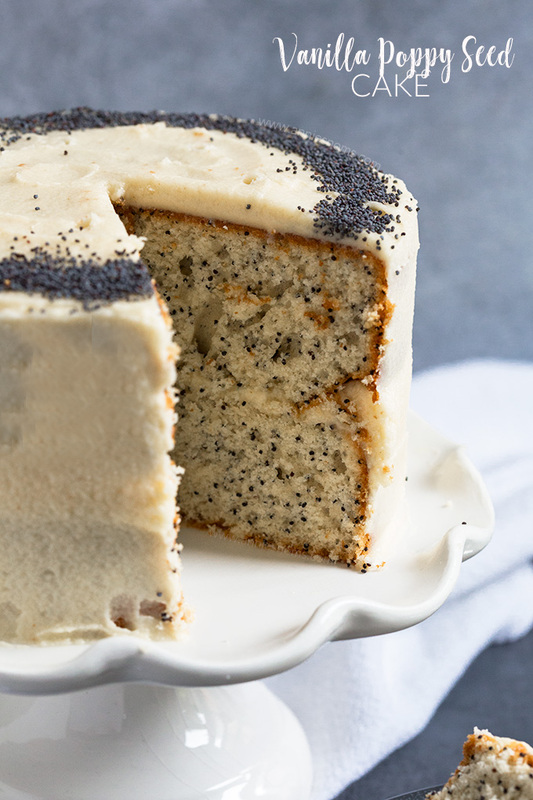 Vanilla Poppy Seed Cake will keep covered, at room temperature, for 2 days, or in the fridge for 4 days. Bring it to room temperature before serving. My birthday is around the corner and I’m surely getting my hands on this cake! 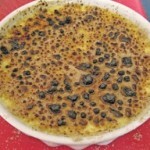 This was the perfect recipe, we used it as a birthday cake and everyone enjoyed it! 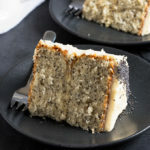 I love adding poppy seeds to cakes and breads! This cake looks delicious! This cake looks like the perfect way to celebrate all of your amazing news! Congrats. 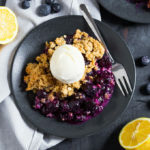 This looks so good that I don’t want to wait until a birthday to try it. I think we’ll be celebrating “Friday” this week, lol!